British audio experts Meters Music’s new Cubed speaker system is unashamedly cool, due not just to the minimalist design, but mainly because of the working volume unit (VU) meter built into the body itself. You may recall seeing the VU meter on Meters Music’s striking OV-1 headphones, but the placement of the meter in the cups meant it was for others to enjoy. Now you can sit back, relax, and watch the flick of that needle yourself. Three components make up the Cubed system. Two speakers and a center amplifier unit, which has the VU meter mounted on the front. The meter is a signature trademark for Meters Music hardware, having reached fame glowing on the front if its Ashdown Engineering-branded amps, on stage with mega-bands including U2, Foo Fighters, and System of a Down. It works in the same way on the Cubed speakers, with the glowing gauge’s needle representing the music input level. It’s a look that’s filled with musical heritage, and the mix of modern Bluetooth speakers and a classic working VU meter appeals to our inner geek. 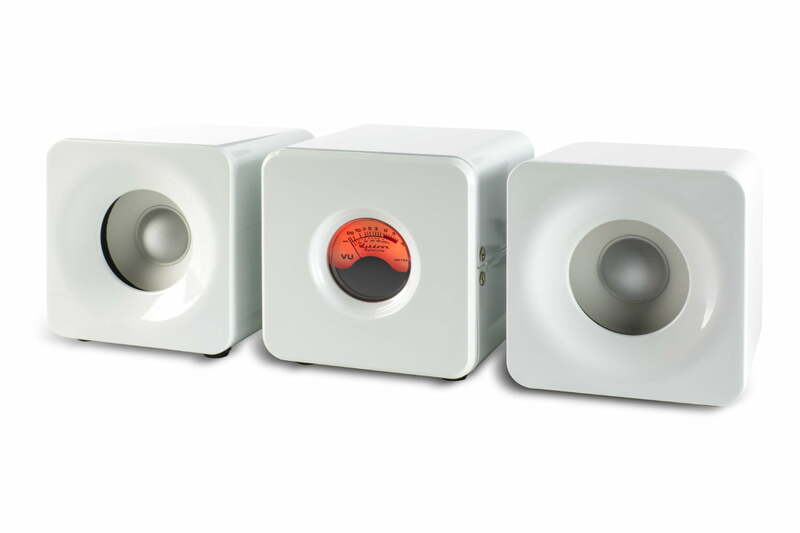 The speakers and amp all measure 90mm square, so are very compact. The two speakers contain a 2.5-inch driver each, producing 10watts RMS output each, in stereo. 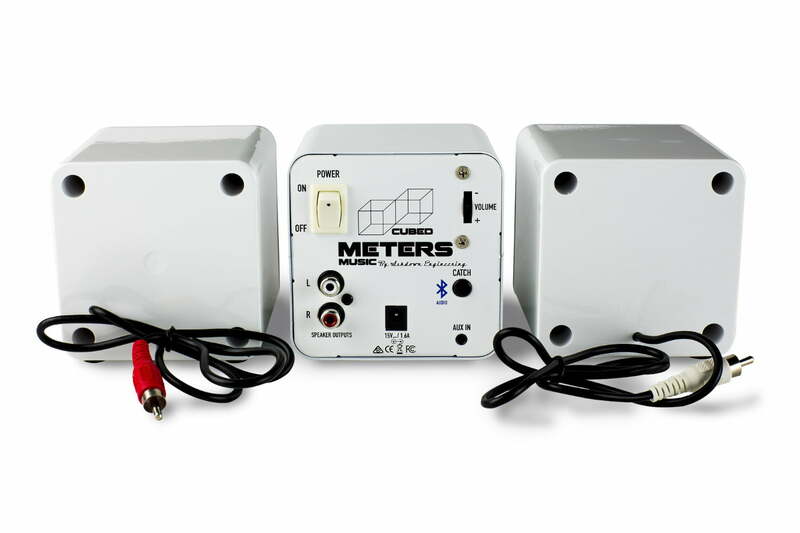 The Cubed system is mains powered, and has both a Bluetooth connection and a 3.5mm input, so it’s suitable for mobile devices and for use with your computer. Meters Music has added its own mSound audio enhancement profile to the digital sound processor (DSP). This is Meters Music’s first set of Bluetooth speakers, but it’s not the first time we’ve come across the brand. We listened to the excellent Meters Music OV-1 headphones at the start of 2017, a set of cans that have the same working, illuminated VU meter in each of the cups. We were suitably impressed with the sound, and subsequently with the company’s in-ear M-Ears earbuds too. 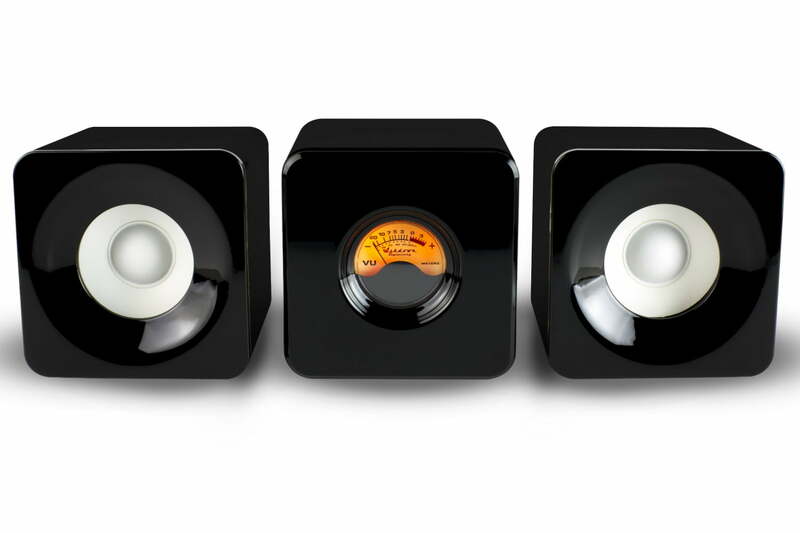 The Cubed speaker system comes in either black or white, and costs 200 British pounds from the company’s own website. Fans in the United States will have to order it through the same site, and at the current exchange rate the Cubed speakers will cost around $255.